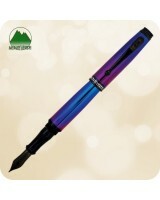 Monteverde Invincia Nebula Fountain Pen MV42520 Introducing the all new Invincia™ Nebula&..
Monteverde Invincia Rollerball Pen, Nebula - MV42526 Introducing the all new Monteverde Invinci.. 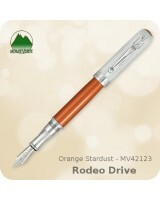 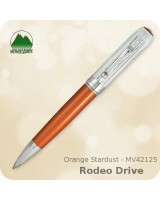 Item Number: MV41515 Invincia - Ballpoint Pen - Orange Anodized Uncluttered by.. Item Number: MV41510 Invincia - Fountain Pen - Orange Anodized Uncluttered by bold ..
Monteverde Invincia Rollerball Pen, Brass - MV42506 Uncluttered by bold colors, the Monteverde&.. 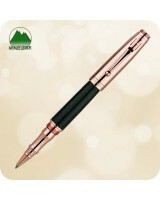 Item Number: MV40061 Invincia - Rollerball Pen - Rose Gold Uncluttered by bold colo.. When simplicity and elegance join together, the result is an alluring pen made from state of the art..
Monteverde USA is back and more exquisite than ever with the all new Rodeo Drive collection. 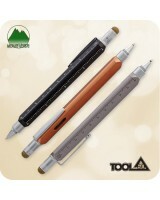 When si..
Monteverde Tool 60 Stylus Ballpoint Pen The Tool 60™ Ballpoint Pen is an executive seven fu..